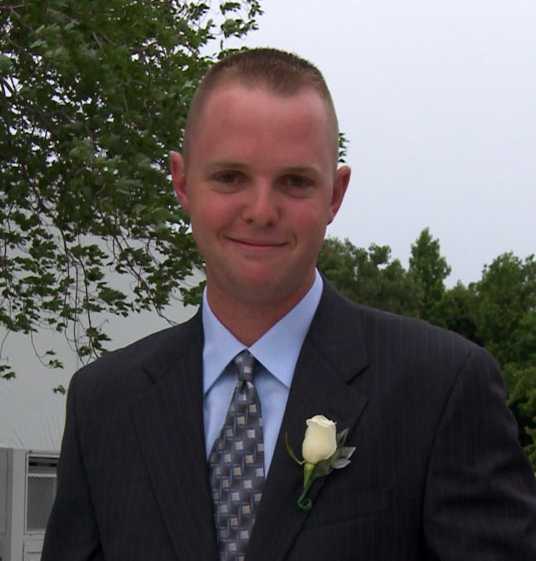 Grant, the son of Nancy and Phil Turner, Sr., was born on March 15, 1981 in Annapolis, Maryland. Grant spent his childhood growing up with his parents, his sister, Melissa Kahl, and brother Philip, Jr. in Riva, Maryland. He graduated from South River High School in 1999. Grant was a member of The Boy Scouts of America, Troop #454, in Davidsonville, Maryland, for 13 years. He was also a member of the Maryland Mud Bugs Four Wheelers Club. Grant was exuberant about life and enjoyed hunting, sports, camping, and the outdoors. As a young boy, Grant participated in many sports: soccer, football, lacrosse, basketball, and baseball. Baseball soon became a passion for him, which is why, while still in high school, he became an umpire with the Maryland Diamond Umpire Association. 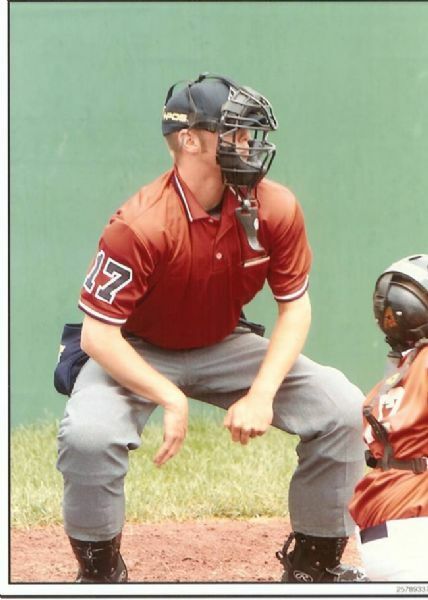 In 2001, Grant was invited to umpire for a week at the Little League Baseball Hall of Fame in Cooperstown, New York. Grant became engaged in September 2004 to Jennifer Carr. Grant and Jen, who knew each other since they were teenagers, resided in Crofton, Maryland, and were looking forward to their wedding in September 2005. Like so many family members before him, Grant entered the field of law enforcement in January 2005 by joining the Maryland Transportation Authority Police. Among those family members who walked the beat before him were: Elon Turner, the first sheriff of Prince George’s County; William Hadel Muhl, the one-armed Constable of Baltimore City; Agent Paul Turner, FBI; Timothy Broderick, Baltimore City Police; Sergeant Frank Muhl, Tuscon, Arizona; Officer Mike Fahey, Farmington, New Mexico; best friend Trooper 1st Class Jason Lambert, Maryland State Police; and his loving father, Philip L. Turner, retired Sergeant of the Annapolis City Police and retired Anne Arundel County Sheriff’s Deputy. Grant was adept at blending what he learned from one challenge and making it work for another. When he joined the Maryland Transportation Authority Police, he realized that many of the skills that he used on the ballfield also applied to the rules of law and order that he was learning in the Police Academy. Grant was able to see connections in life that other people may never have noticed, which was another one of the amazing things about him. Grant was a proud member of Class #37 of the MDTA Police Department. His death occurred a mere 5 weeks before graduation after he had already fulfilled all of the qualifications of the Maryland Police Training Commission. He was ranked as #3 in the class and was on the Deans Honor List at the Baltimore County Community College. It is fitting that Grant’s final sacrifice was actually a part of his academy training. Class #37 was participating in the Duke Aaron 5K Memorial Run to honor a fallen hero and raise funds for the MDTA Widows and Orphans Fund. Grant ran the 5K, ranking 64th of a field of 99 runners, he turned in his scorecard, dropped to the ground, and despite valiant efforts on the part of the medical personnel he passed away. Grant’s life was short, but filled with joy, love, passion, energy, and a commitment to those who shared his life. Grant exuded warmth and wit, humor and happiness, and an enduring spirit. He left behind many loved ones who cherish their memories of life with Grant: his loving fiancée Jennifer; his parents Phil and Nancy; sister and brother Melissa and Philip; his brother-in-law Steve Kahl, and nieces and nephews Kayleigh, Justine, Brandon, and Ryan; and his grandmothers Agnes Turner Gimbel and Ilean Brinkmeyer. Grant was welcomed into glory by his grandfathers, John Turner, Kenneth Brinkmeyer, and John Gimbel. The Annapolis Open is dedicated to the memory of Grant for his passion for life and his love of this tremendous game.